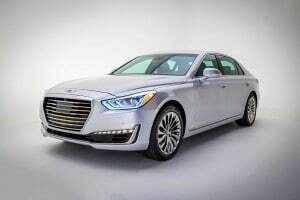 Hyundai debuted its Genesis G90: the flagship sedan for the maker's new premium brand. Hyundai’s long-awaited, executive-level Genesis brand got its first entry: the Genesis G90. 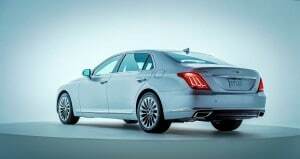 The new luxury sedan made its debut at the North American International Auto Show. The G90, which is known as the EQ900 in Asia, replaces the Hyundai Equus at the top of the automaker’s portfolio. The Equus was Hyundai’s first effort to push into the Premium Luxury market, a segment dominated by the Mercedes-Benz S-Class and competitors like the new BMW 7-Series. However, the new G90 is not only newer, it’s bigger than the Equus its replaces. However, even though the wheelbase is stretched by 4.5 inches compared with the Equus, the redesign cut an inch out of the rear seat. The new Genesis G90 is larger than the Hyundai Equus its replacing. To offset the reduction rear seat space, the new sedan’s interior gets a significant upgrade in materials, look and feel. The cabin is swathed in real wood topped by Nappa leather for the dash. It also gets a styling upgrade with the center display. The G90 offers two engine choices: a 3.3-liter, twin-turbocharged V6, capable of 365 horsepower and 376 pound-feet of torque or a 5.0-liter V8 producing 420 hp and 383 lb-ft of torque. Both are mated to eight-speed automatic transmissions and can be paired with Hyundai’s H-TRAC all-wheel-drive system. G90 also features Intelligent Drive Mode with four distinct driving settings: Eco, Smart, Sport, and Individual (driver-specified parameters). These four driver-selectable modes provide unique calibration settings for suspension, steering, stability control, engine, transmission and available AWD, allowing the driver to determine G90 driving character based on personal driving preferences, road quality, or traffic conditions. Further, G90 includes proprietary “Smart Shift and Drive Control” automatic transmission technology that analyzes driving style and adjusts shift character, engine torque response and suspension damping in real-time driving conditions. 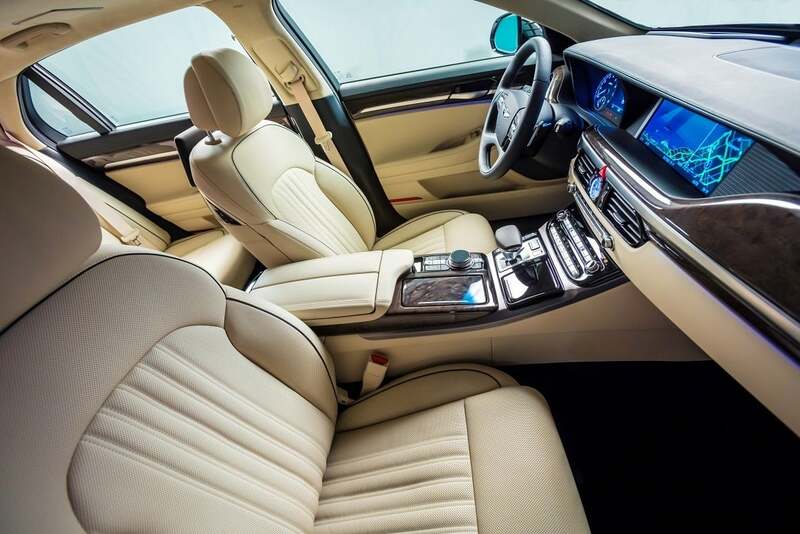 The G90 interior features the requisite leather and wood as well as a slew of technology. The use of technology to improve the driving experience isn’t limited to the car’s handling. The G90 gets Genesis Smart Sense, a suite of driver safety technologies covering a spectrum of active and passive safety features. The suite includes technology for driver alertness and focus to total occupant safety, including drivers and pedestrians. This suite brings together systems such as Automatic Emergency Braking with Pedestrian Detection, Smart Cruise Control with Stop/Start, Smart Blind Spot Detection and Lane Keep Assist. G90′s Automatic Emergency Braking utilizes sensor fusion technology to help avoid a potential collision or reduce its impact. With this system, G90 will employ automatic braking when it detects another vehicle or pedestrian at an unsafe closing rate of speed. This system uses the front radar from the Smart Cruise Control system and the forward camera from the Lane Keep Assist (LKA) to provide this extra margin of safety. This entry was posted on Monday, January 11th, 2016 at and is filed under Automobiles. You can follow any responses to this entry through the RSS 2.0 feed. Both comments and pings are currently closed. Sorry, but it’ still a Hyundai. Is your issue that you don’t buy into the idea of a premium brand, or that you think Hyundai isn’t good? That front end looks like a pig snout.